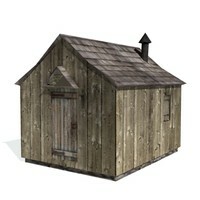 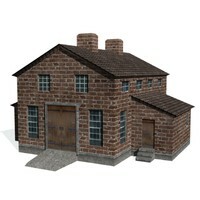 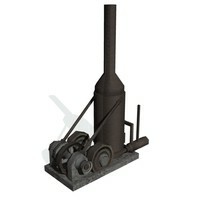 Low poly game model of a historical 19th century blacksmith, farrier or cartwright, simple building exterior only. 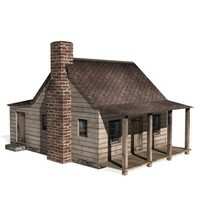 *Note: 3DS files may not be accurately UV-mapped, if at all. 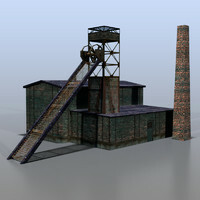 Lightwave LWO files are primary. 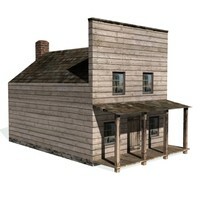 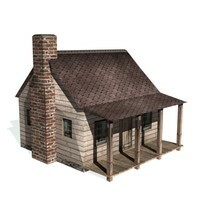 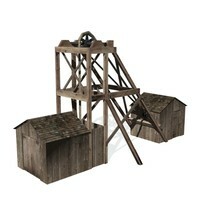 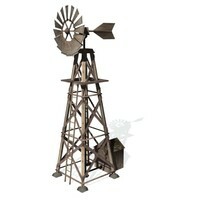 Low polygon count, game ready models for historical frontier farms and towns in the American west, in the 1800s. 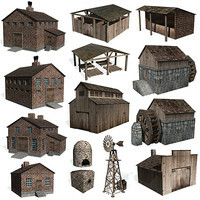 All models are available in Lightwave LWO, and 3DS formats, and 3D Gamestudio MDL7 format. 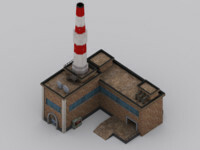 Models come with low resolution game-ready texture (usually 256x256), and most come with at least one higher resolution texture. 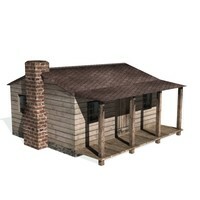 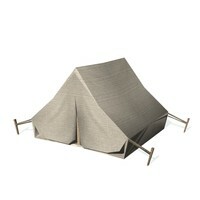 Most of the buildings are modeled well below ground level, to sit easily on any shape terrain. 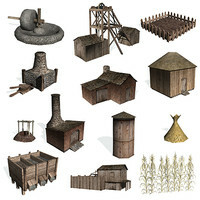 Many 3DS models will have to be scaled and rotated, but otherwise, they are ready to go - into your western or historical action, adventure, RPG, or real-time strategy game.